EI recently assisted Maquet with the renovation of remaining unfinished “future expansion” space, located on the second floor, for office use. The proposed expansion area, also known as the “Boneyard”, measures approximately 9,500 sq.ft. and comprised “raw”, unfinished space which formerly served as an equipment and furniture storage area. Prior to the renovations, the project area comprised an unfinished concrete floor slab, exposed roof structure, industrial fluorescent light fixtures, upright sprinklers and exposed ductwork (supplying adjoining process areas). With the exception of several ceiling mounted Reznor gas unit heaters, this area was not air-conditioned or ventilated and was not served by HVAC equipment. 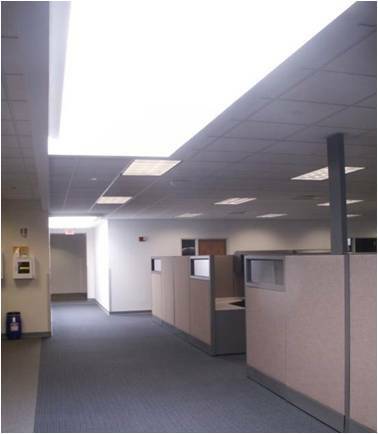 This project area adjoins a newly renovated office area. 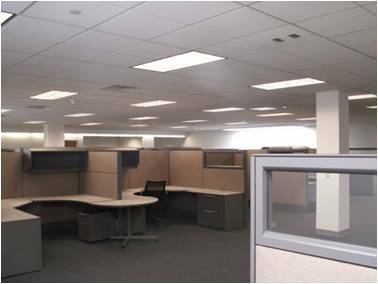 This project included the partial demolition of existing perimeter partitions forming this space to create an office area contiguous with the existing adjacent office area. 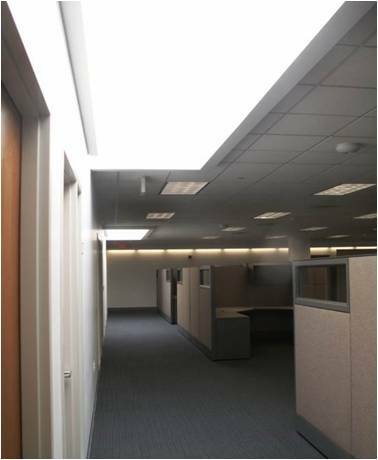 Since the project expansion area is located near the center of the building without the benefit of perimeter windows, EI designed new roof skylights to provide natural daylight within the new open office area. 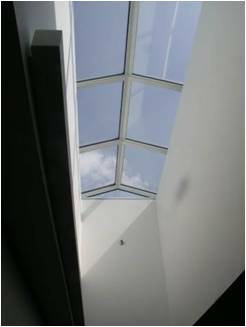 The skylights were coordinated with existing roof joist framing to minimize rework of existing steel. 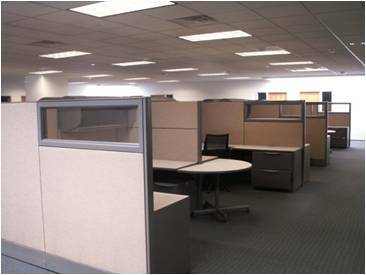 The expanded office area comprises perimeter private offices, a central open office area, conference rooms and a break area. EI provided complete planning, interior design, architectural, structural and MEP engineering to support this project.